Born in Brittany, Nikolaz Cadoret is an extremely versatile musician. He studied Celtic harp with Dominig Bouchaud, Katrien Delavier and Janet Harbison, and is also a graduate of the Zurich Hochschule für Musik, where his teachers were Evelyne Gaspart, Catherine Michel and Xavier de Maistre. Mr. Cadoret is the winner of several competitions, held orchestral positions in Aachen and at the Komische Oper in Berlin, and now teaches at the Brest Conservatoire in France. He is also visiting professor of electric harp at the Higher Institute of Music And Pedagogy in Namur. Mr. Cadoret's music is deeply anchored in Celtic traditions, but also freely inspired by his experience in other musical fields, from classical music to the avant-garde. Parallel to his development as both a classical and Celtic musician, Nikolaz also explores improvisation and multidisciplinary projects. These include the Collectif Polop, Meteoros (with flutist Jérémie Mignotte), and Fack Ze Dirty Cut with Hélène Breschand. He also revisits traditional music in Descofar, a duo of two electric harps and percussion, with Alice Soria-Cadoret and Yvon Molard. Their first album was released in 2014. Mr. Cadoret is also a founder of the flexible Celtic harp ensemble Collectif ARP, with Cristine Mérienne, Clotilde Trouillaud, Tristan Le Govic and Alice Soria-Cadoret. Internationally renowned harpist María Luisa Rayan has performed to critical acclaim in the USA, Europe, Latin America, China, Japan, Korea and Australia. Described by the New York Concert Review as “Clearly an extremely talented, accomplished, experienced performer who can keep an audience listening with rapt attention”, Ms. Rayan has performed in several major venues including Carnegie Hall and the Royal Academy of Music in London. Through her extraordinary style, she brings to audiences a sense of musicianship and poetry in her playing and is recognized as one of today’s highly sought-after harpists as a recitalist, chamber musician, soloist with orchestra, teacher, and arranger of music for the harp. A consistent international competition prizewinner, Ms. Rayan was awarded the Silver Medal at the USA International Harp Competition in both 1998 and 2001. Besides her busy concert schedule, Ms. Rayan has a strong passion for teaching. She has taught masterclasses at the Curtis Institute, Shanghai Conservatory of Music, National University in Bogotá, and the Royal Academy of Music and is currently on the faculty at Indiana University and is co-director of the Saratoga Harp Colony. Ms. Rayan has been invited to judge numerous international harp competitions, including the USA International Harp Competition, Golden Harp Competition in St. Petersburg, Russia, and is currently co-director of the Korea International Harp Competition. Ms. Rayan’s keen interest in expanding the repertoire for the harp has taken her to research and transcribe music. Her publications include arrangements for solo harp of Cuatro Estaciones Porteñas, Serie del Angel and Libertango by Astor Piazzolla, Partitas BWV 825-827 by J.S. Bach, Sonata in F K332 and Fantasy K397 by W.A. Mozart and Prelude from Bachianas Brasileiras No.4 by Heitor Villa-Lobos. Frank Voltz is a multi-talented musician; a concert artist on piano, harp, and organ; an accomplished composer and arranger; and a highly respected clinician and teacher. He began playing the harp as an adult and after 5 years of study, won Second Prize in the Lyon & Healy International Jazz and Pop Harp Competition, Lever Harp Division. For the past 15 years, he has been an in demand guest clinician and performer at harp festivals and conferences throughout the United States and Canada. Since moving to Winston-Salem, NC in 2009, Frank has performed with the Winston-Salem Symphony, Greensboro Symphony, and the Piedmont Wind Symphony and in 2016, was an artist at the AHS National Conference in Atlanta, GA..
Frank has recorded five harp CDs and two piano CDs. As a Gospel Jazz harpist, he is in demand performing in churches all over the country. As a jazz harpist, he has performed on various Rock, Jazz, Gospel, New Age, Folk, Christmas, and Sacred recording projects for various artists (including a Grammy Award winning instrumentalist). He has been commissioned to write arrangements for the American Youth Harp Ensemble and the New Philadelphia Moravian Church and has published more than 85 hymn arrangements, ensemble arrangements, and original compositions for pedal and lever harp through his music publishing company, Chiera Music (www.frankvoltz.com). His music has been recorded by other harpists around the world. Frank is currently on the Board of Directors for the Piedmont Chapter of the AHS. Rhett Barnwell is a composer, arranger and performer, and the founder of Seraphim Music, which publishes sacred, classical and meditative music for lever and pedal harp. He has concertized extensively in the United States, Italy, and Ireland. A specialist in classical and sacred music for the lever harp, he has been in demand as a presenter and performer at conferences such as the Southeastern Harp Conference, Somerset Folk Harp Festival, Harp Journeys, Beginning in the Middle, Harp Gathering and others. He has organized biannual Liturgical Harp Conferences since 2007. He has given workshops and concerts for American Harp Society Chapters in Washington, D. C., Minneapolis, Nashville and New Orleans, and was a performer and presenter at the 2016 AHS National Conference and the 2017 AHS Summer Institute. Mr. Barnwell earned a Master of Music degree from St. Louis Conservatory and did post-graduate Doctoral study at the University of Georgia. He has studied with Mary Brigid Roman, Sunita Staneslow, Ellen Foster, Kelly Stewart, and Monica Hargrave. In addition to the harp, he also plays the cello, French horn, and organ, and has performed with the Spoleto Festival Orchestra, Orquesta Sinfonica de Tenerife, AIMS Festival Orchestra in Austria, South Carolina Philharmonic, Charleston Symphony, and other orchestras. He has served as a Director of Music and Organist for churches in the Southeastern U. S. since 1983. Mary Jane D’Arville, along with her husband David, is founder of the Virginia Harp Center and Atlanta Harp Center, East Coast harp resource centers with locations in Georgia, New Jersey and Virginia. 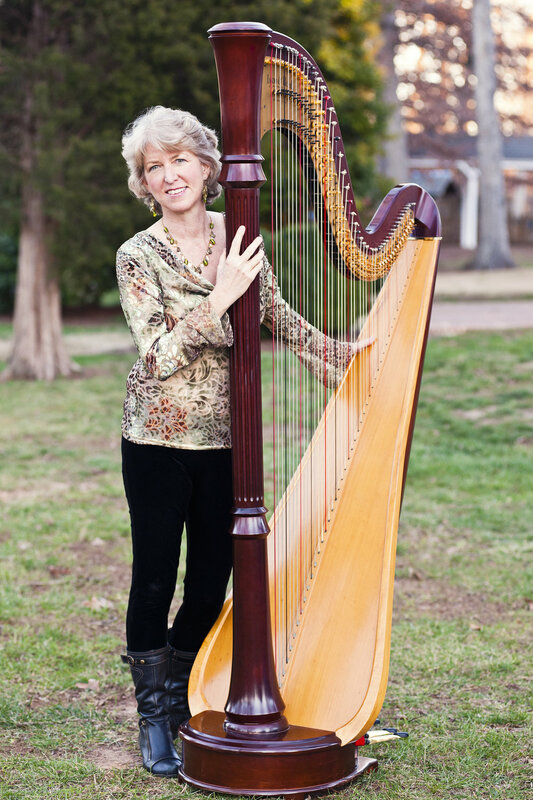 For several years, Mary Jane was harp instructor at the University of Virginia and the University of Richmond, as well as serving as director of the Richmond Public Schools Harp Program. Over the years, she has performed with several regional orchestras including the Richmond, Savanah and Charlottesville Symphony Orchestras as well as maintaining an active free-lance career and teaching studio. In 2002, Ms. D’Arville performed with the Salzedo Ensemble at the World Harp Congress in Switzerland. She is a graduate of Carnegie-Mellon University where she received her MFA in Harp Performance. New York based harp technician Liza Jensen travels the world regulating both lever and pedal harps. 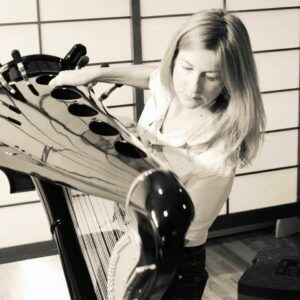 Liza is a problem solver who works with the harpist's individual needs and her musical background provides her with the experience to understand her clients. Liza studied harp mechanics with her mentor and friend, the late Patrick Dougal. His inspiration continues and she wishes to carry on his ideals by educating the harpist and empowering their inner technician. Currently Liza is the Principal International Technician for Camac Harps of France. Throughout the festival weekend, Liza will be regulating harps at the hotel. If you would like to inquire about her rates or schedule a regulation with Liza you can contract her directly. The goal of the Urban Youth Harp Ensemble is to deliver quality musical instruction on the harp, develop music reading skills and musicianship in students at Drew Charter School in Atlanta, GA. What began in 2000 as two students learning from Elisabeth Remy Johnson, the principal harpist of the Atlanta Symphony Orchestra, has grown into over 70 students learning this ancient instrument from their two harp Instructors, Angelica Hairston and Molly O’Roark. A major force for the ensemble comes through UYHE Executive Director Roselyn Lewis, a retired music teacher who taught almost all of her 40 years in the Atlanta Public School system. This instrument becomes a positive anchor and a swooping symbol of self-confidence for the students that study the harp both in school and after school. Over the UYHE’s 16 year history, over 500 students have been exposed to the harp.